Certain dehumidifiers can be quite noisy and they might not be suitable for apartments. The constant backroom hum can interrupt your daily life. 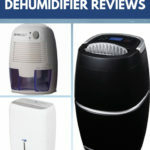 Therefore, if you want to be comfortable in your own home, you should think about buying the best quiet dehumidifier you can find in the market. Dehumidifiers that are very silent can still be powerful and pull plenty of moisture from the air inside your home. There are various models out there that use different technologies in order to deal with moisture and some of them have larger capacities than the others. So read our text carefully because it will help you figure out how to solve the humidity issue inside your house quickly and easily. I Need Help! Why Does My Dehumidifier Keep Shutting Off?